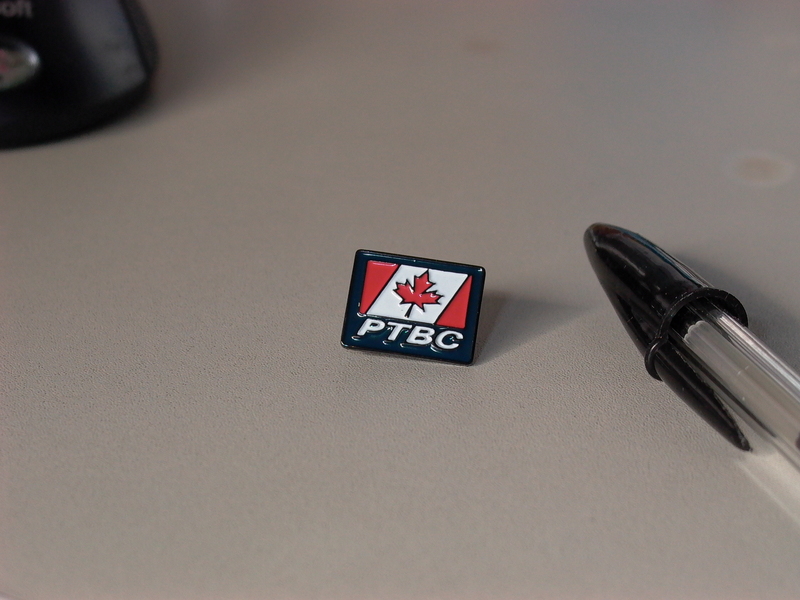 This is the PTBC Lapel Pin you’ve all been longing for, now in its fourth year of sales. This started out as (and it still is used) as our key fundraising item, thus the price of $20 for an item which is clearly worth five times the price twice the price. What does “PTBC” stand for? If you don’t know, you are not allowed to buy one. If you do know, and you’re not, in fact, Proud To Be Canadian (which is your right as a Canadian, somewhat ironically), then you can pretend PTBC stands for anything else, like, say, “Politicians Totally Blow Cash.” Which they do. Feel free to make up your own funny here. They’re 5/8” across, 1/2” top to bottom. They’re black oxidized plating on metal, enamel painted in PTBC colors (essentially our own right-leaning red and white flag atop a navy blue background), with the flag graphic and PTBC letters raised slightly. 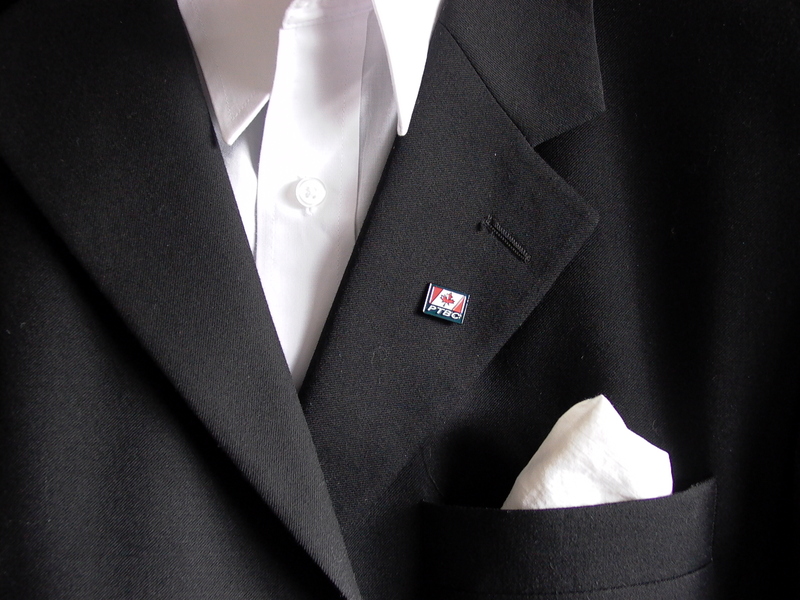 The fastener is a “butterfly” clip on sharp thin pin.